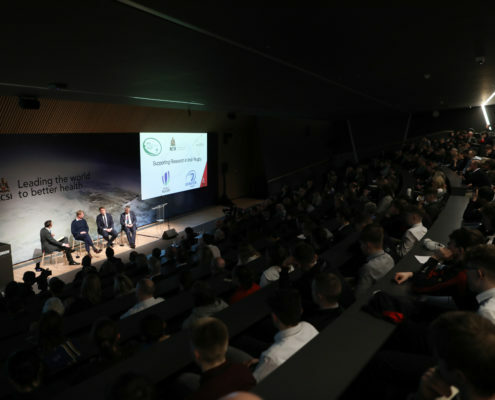 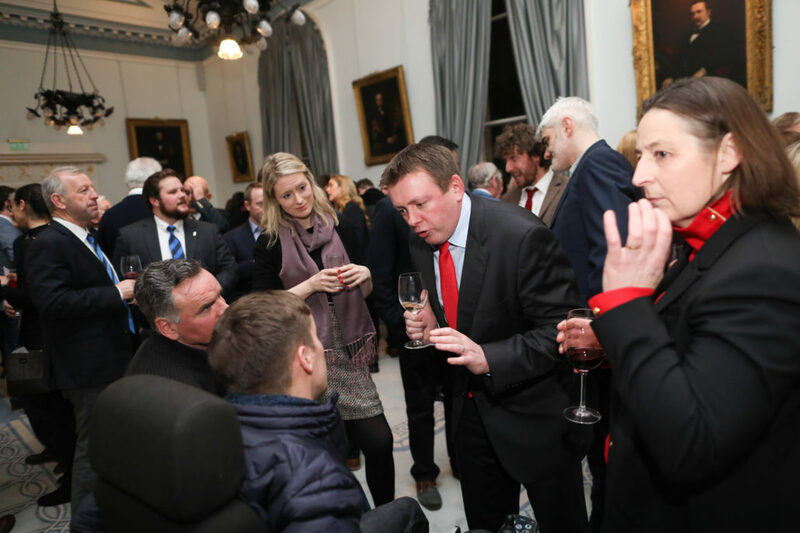 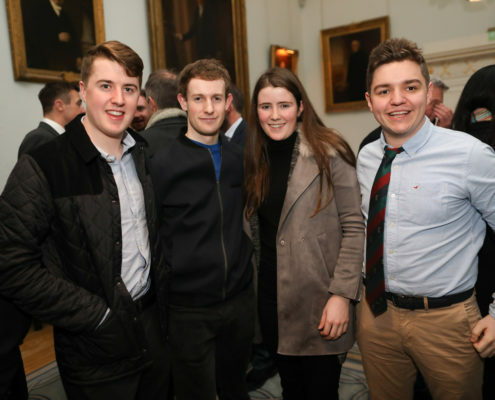 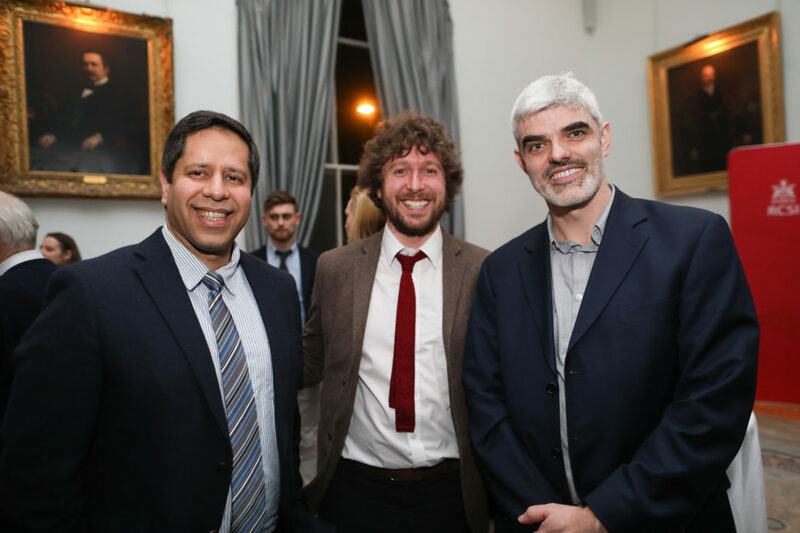 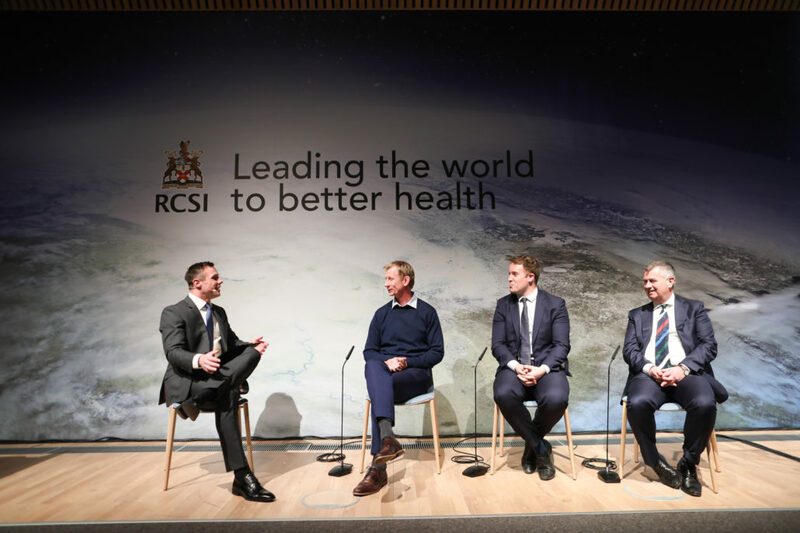 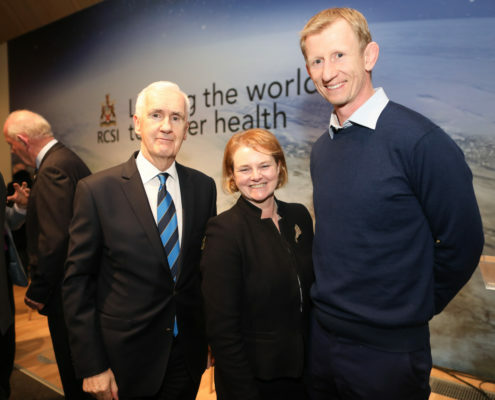 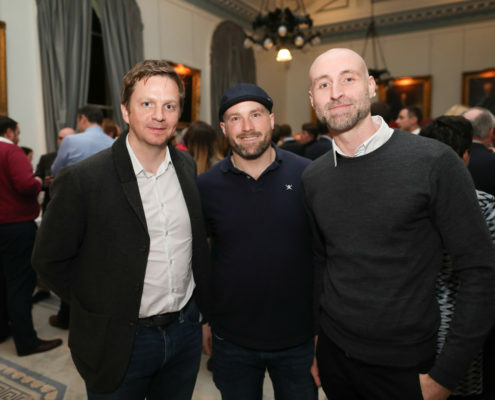 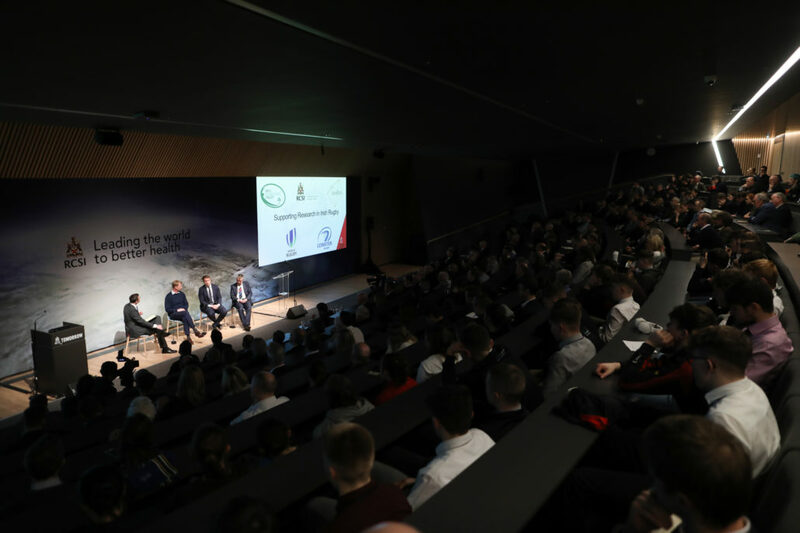 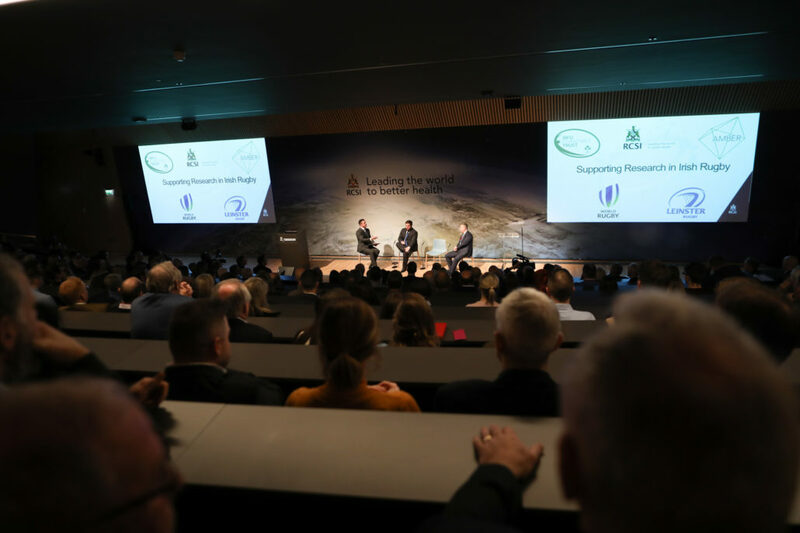 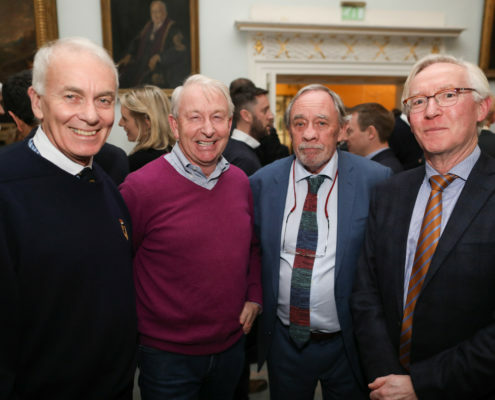 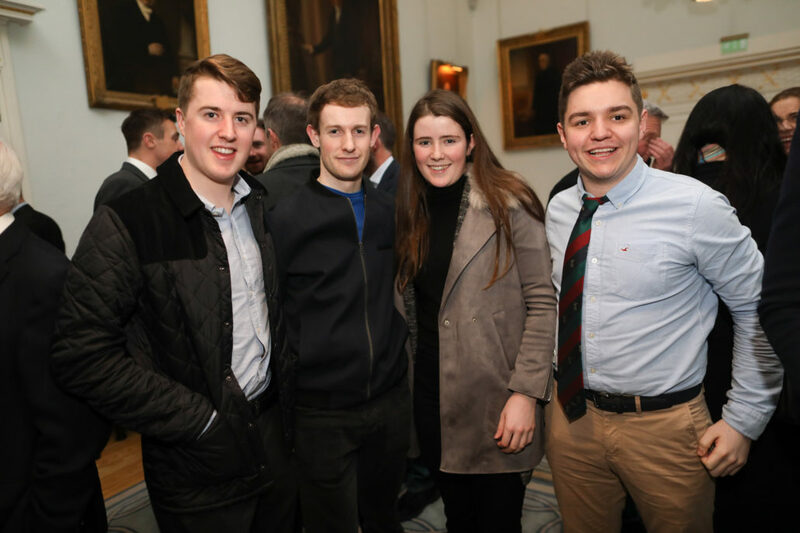 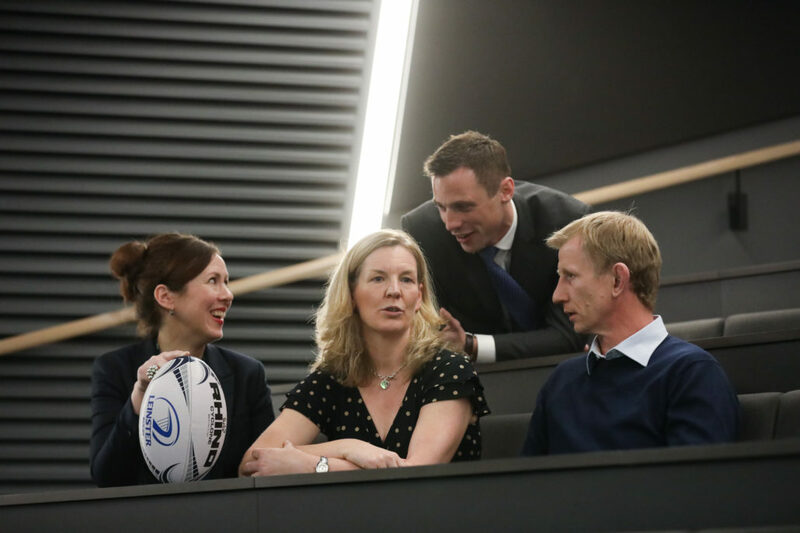 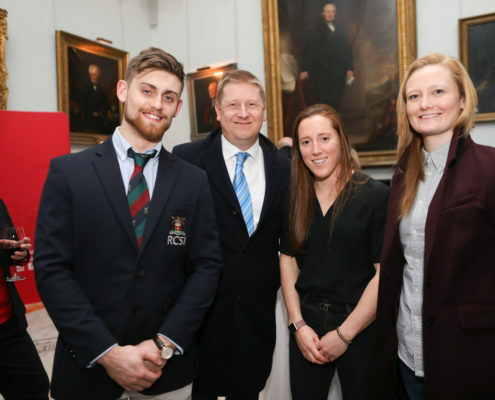 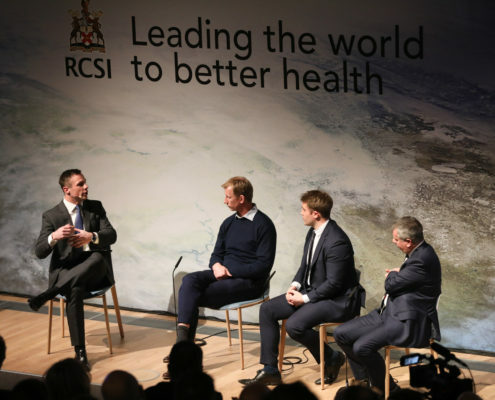 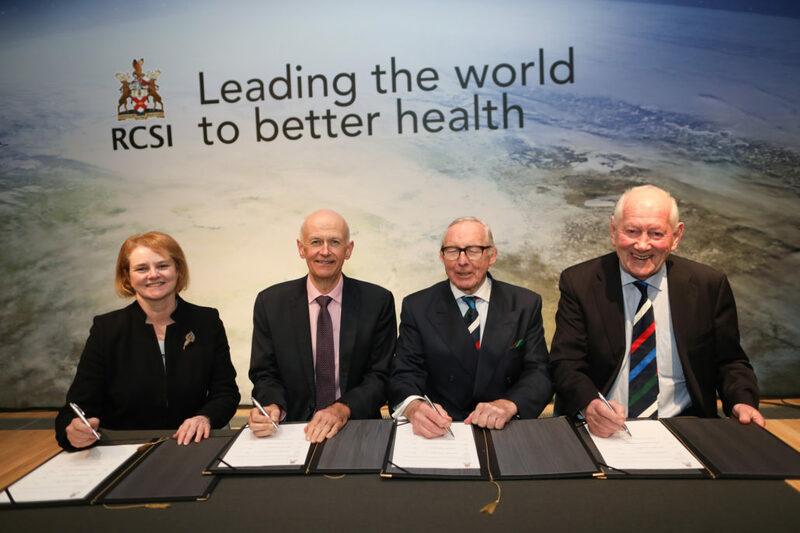 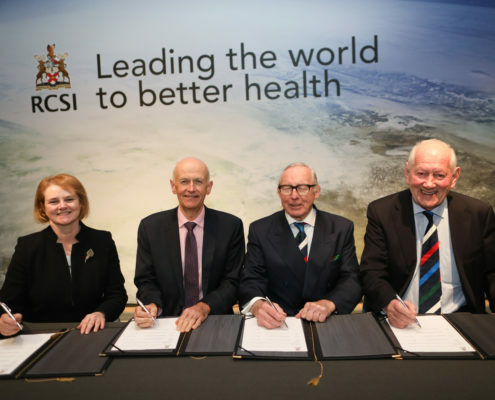 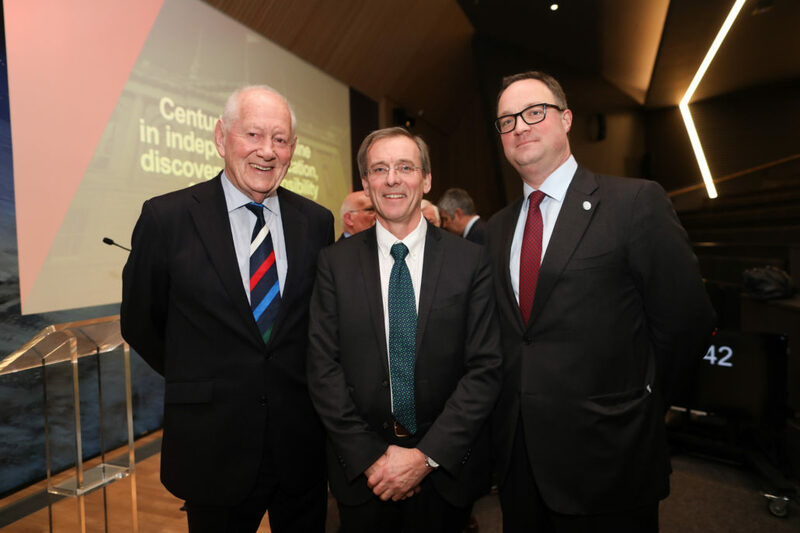 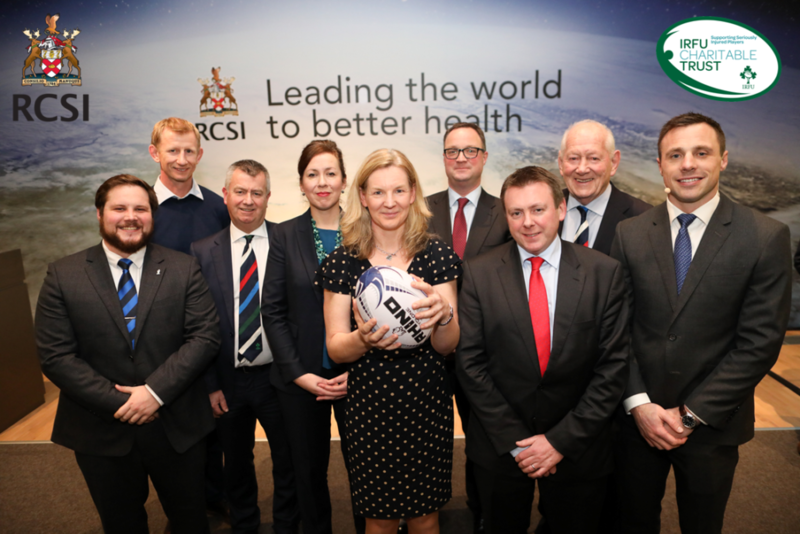 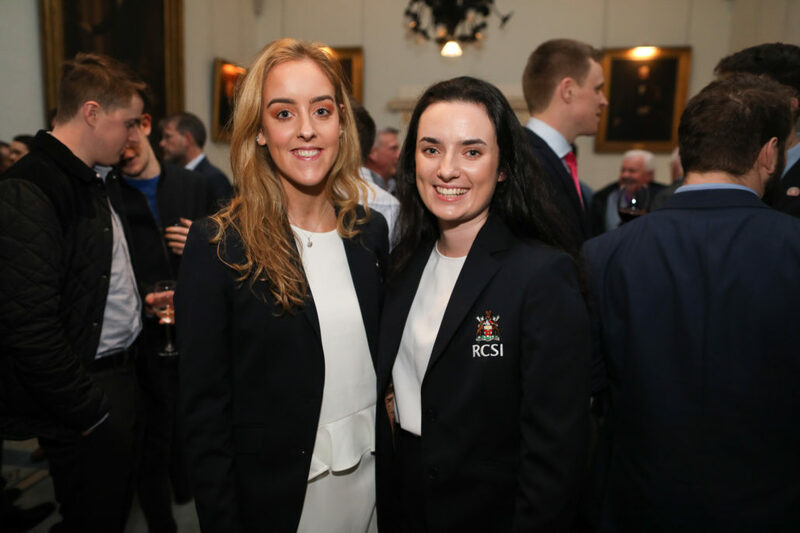 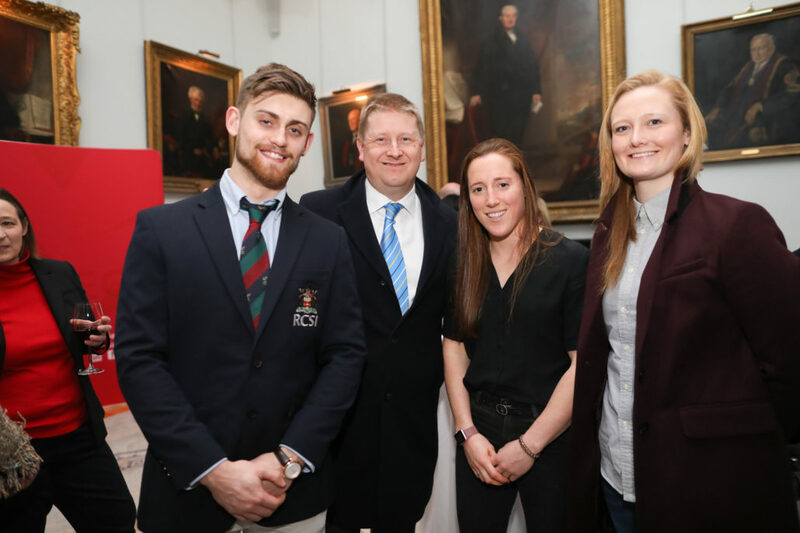 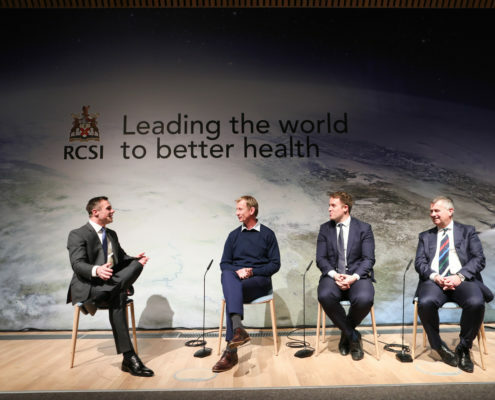 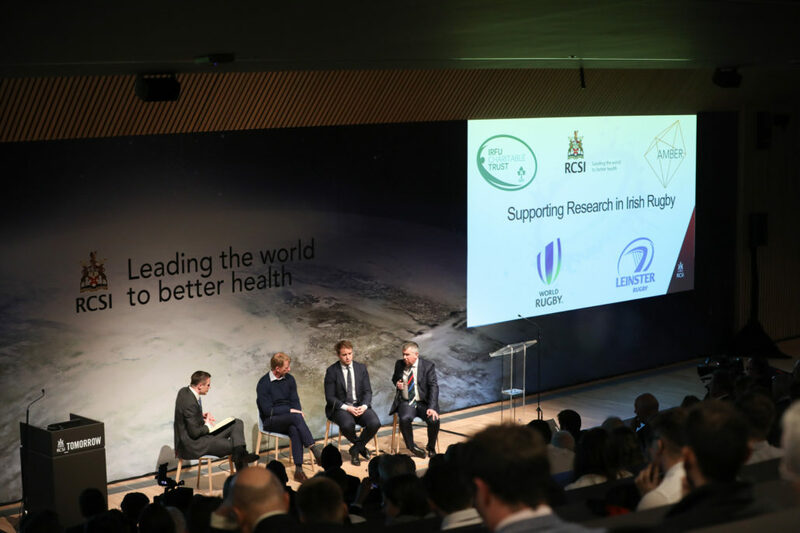 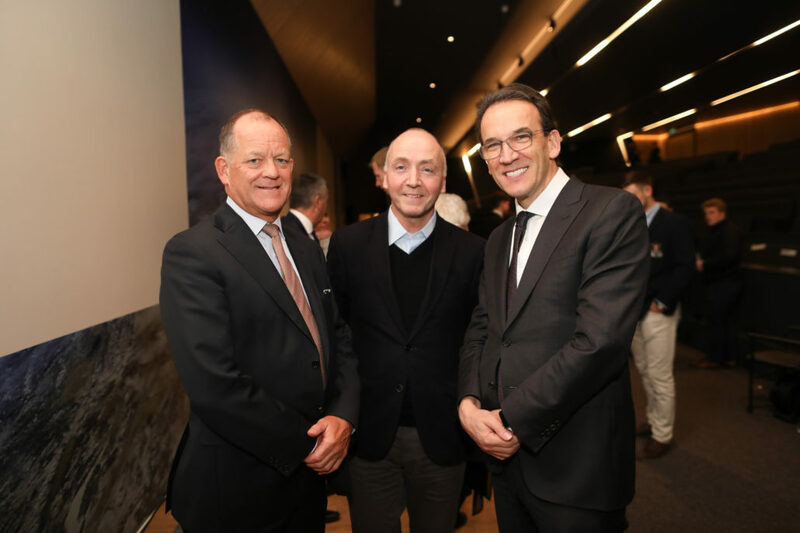 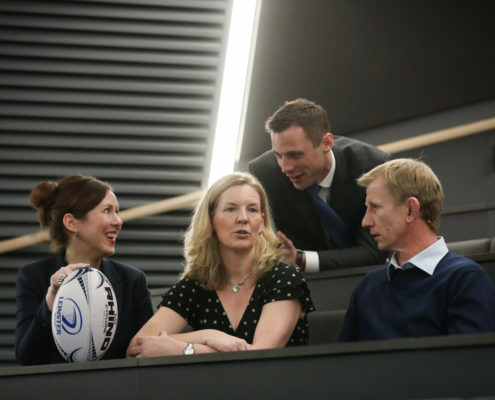 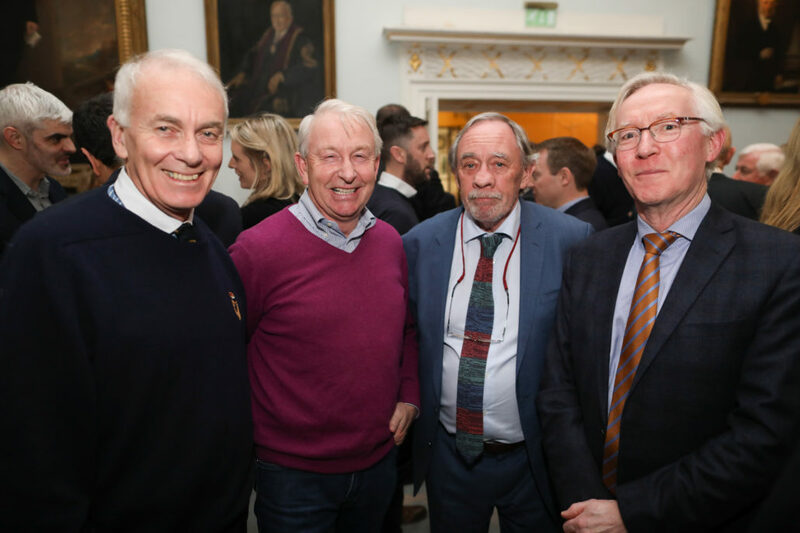 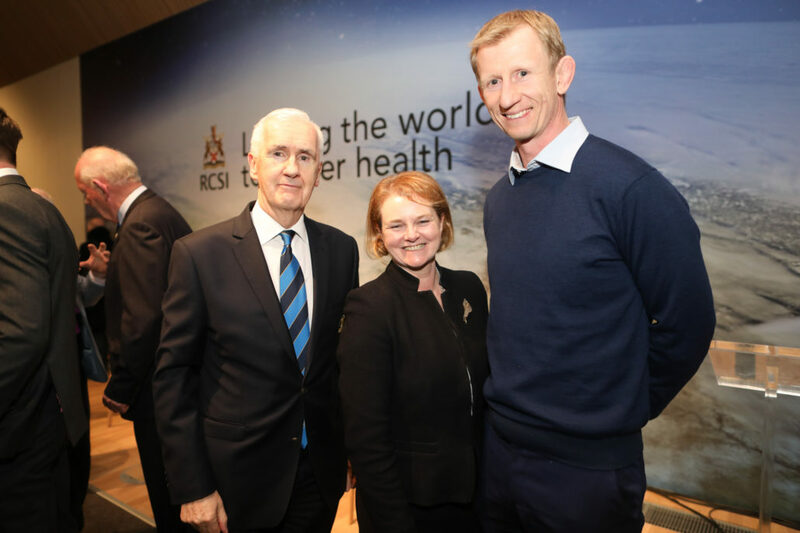 RCSI and the IRFU Charitable Trust have launched a research partnership, with the support of the AMBER SFI Research Centre for Materials Science, Leinster Schools Rugby and World Rugby. 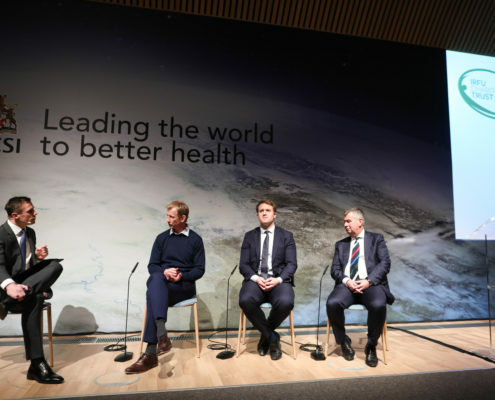 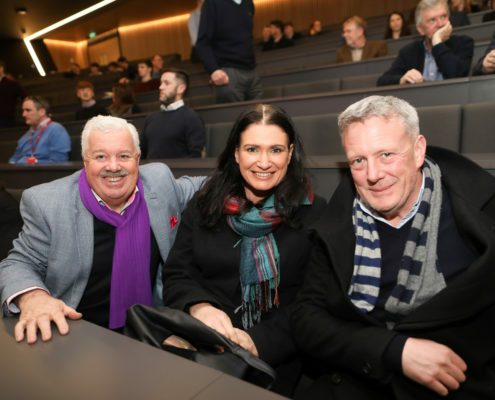 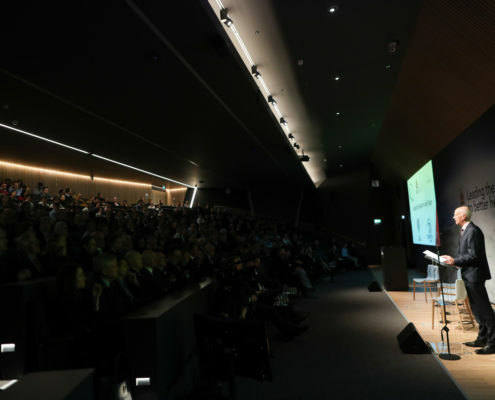 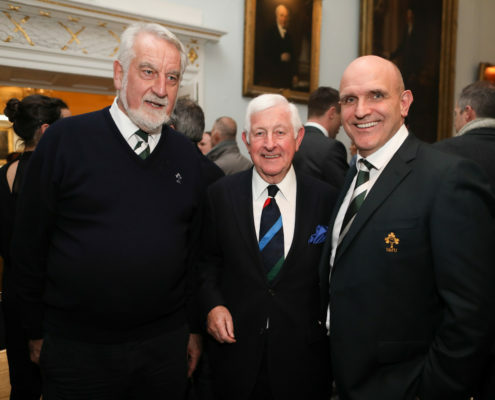 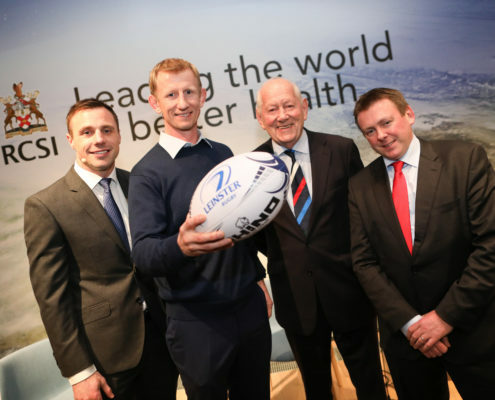 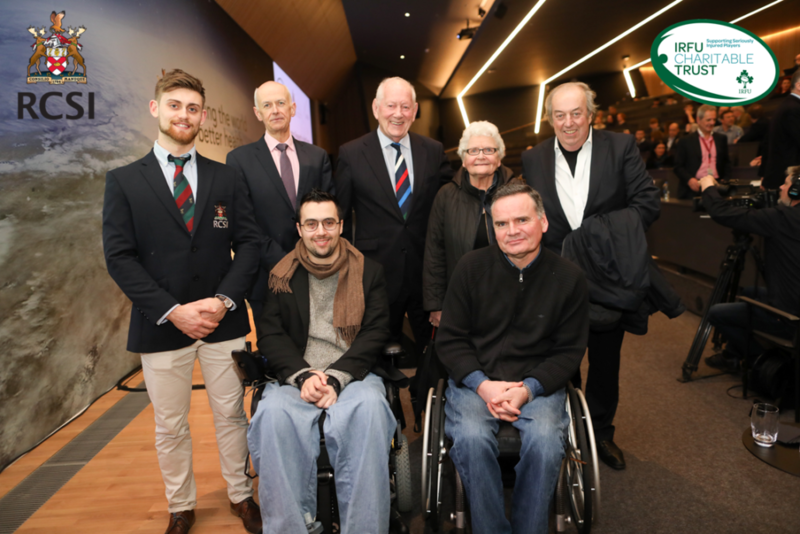 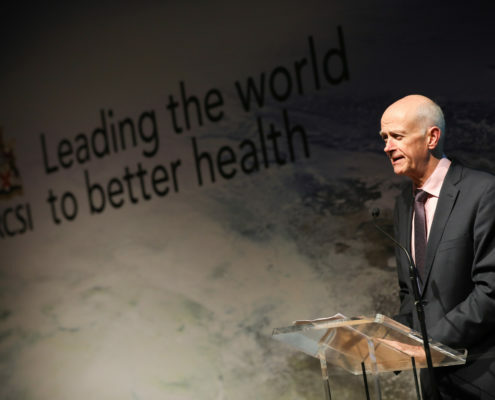 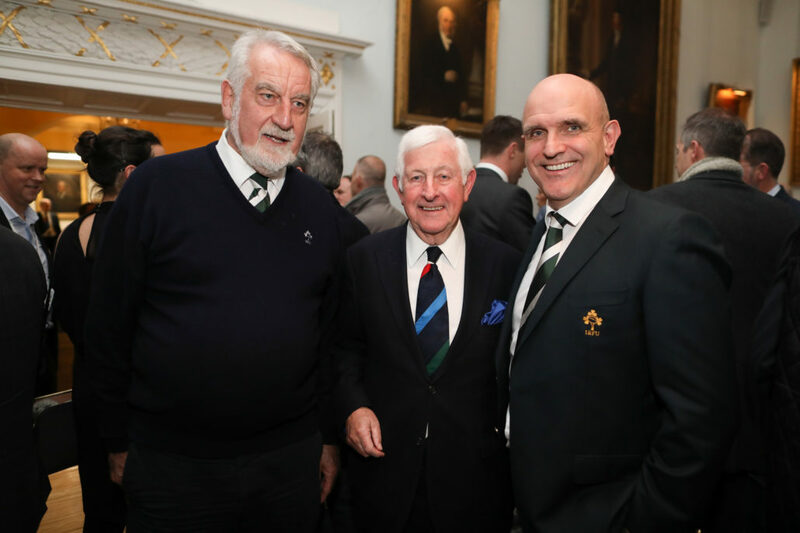 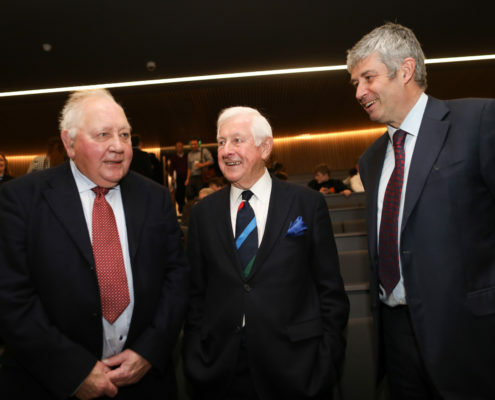 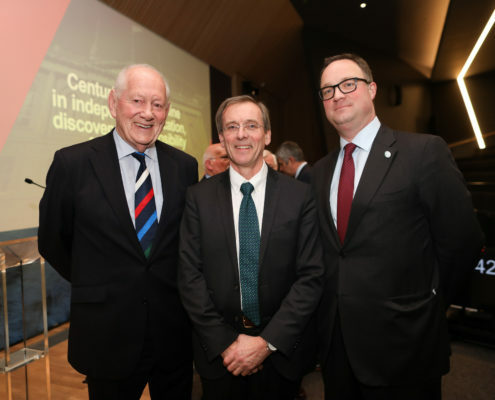 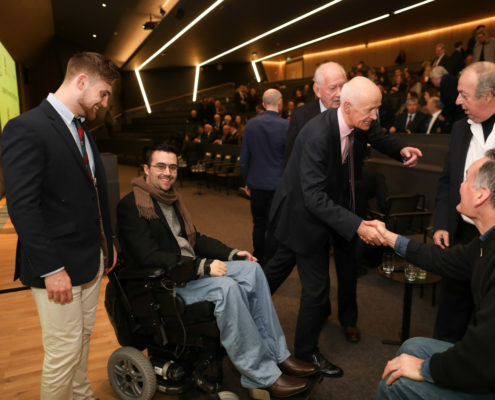 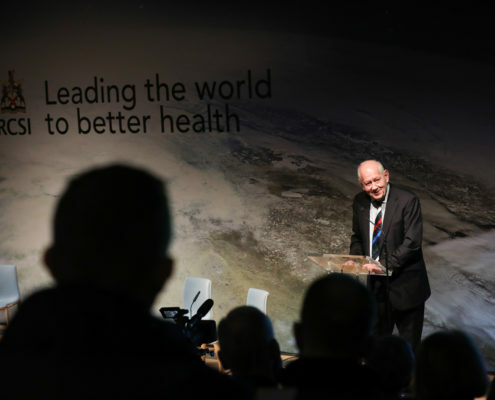 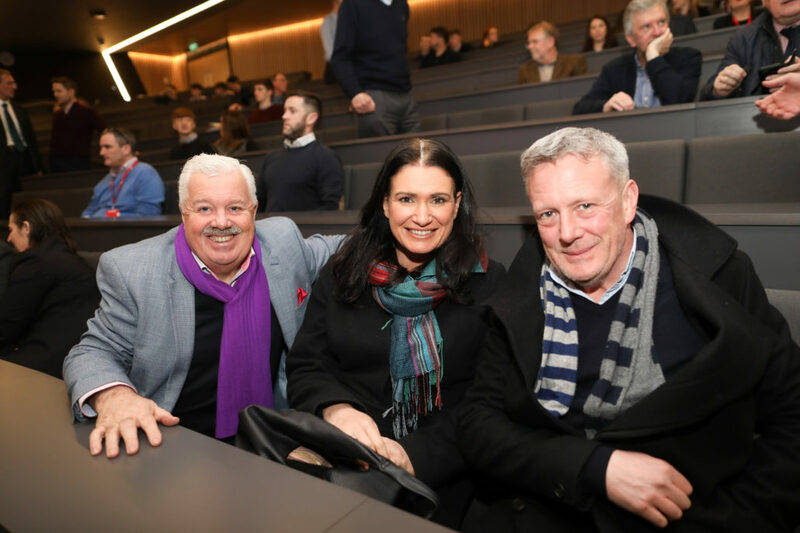 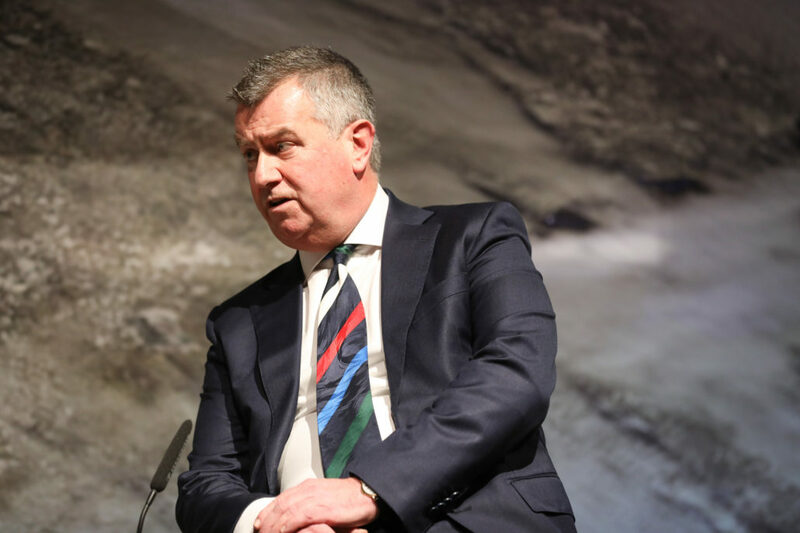 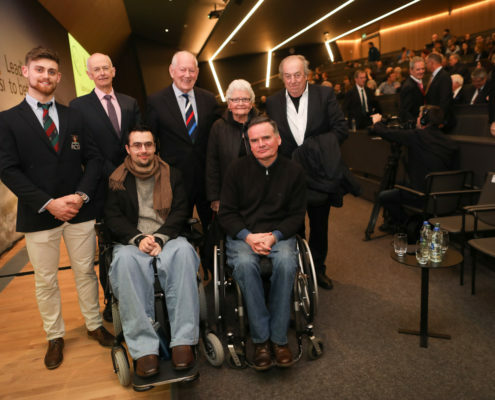 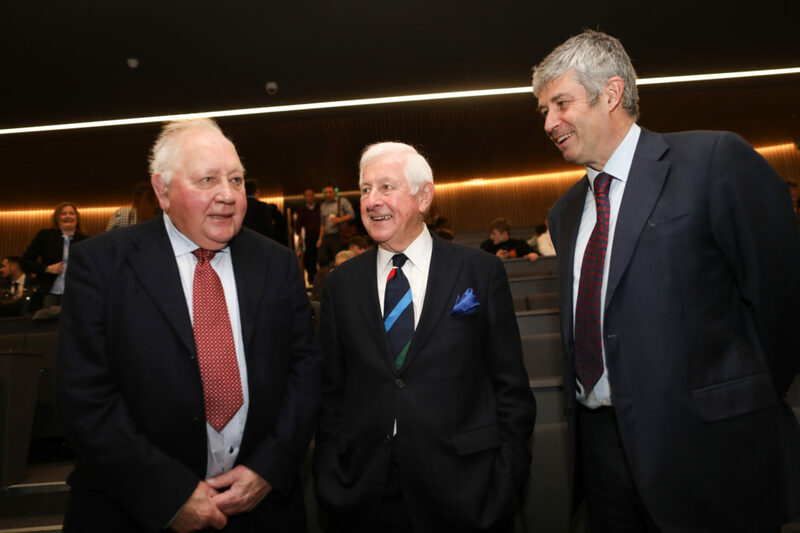 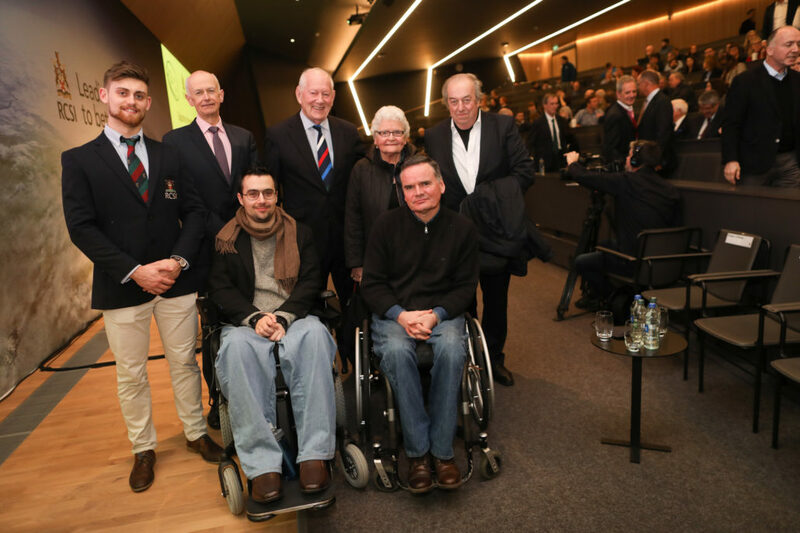 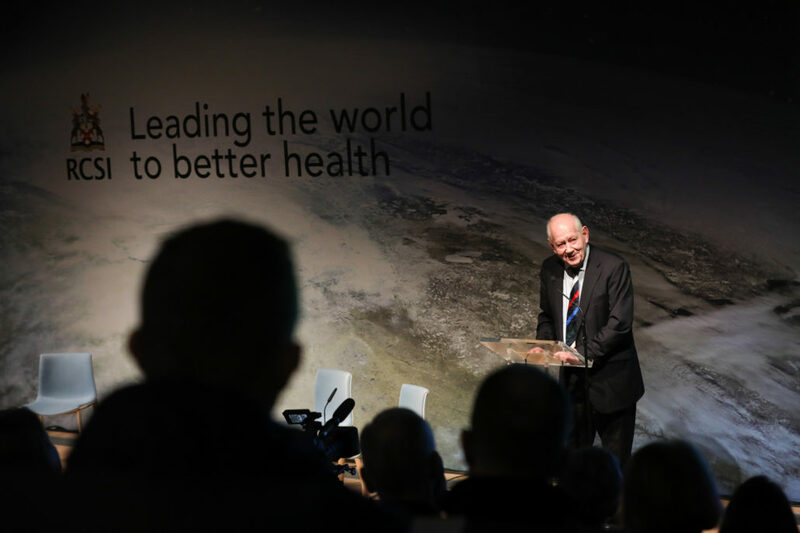 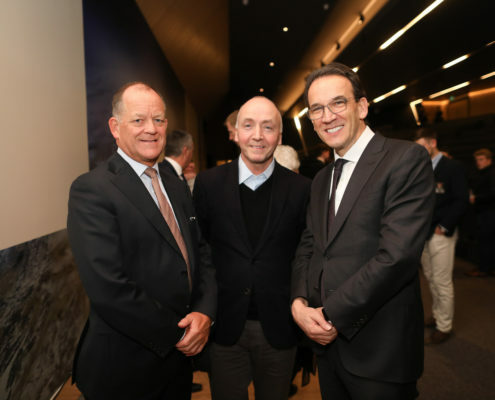 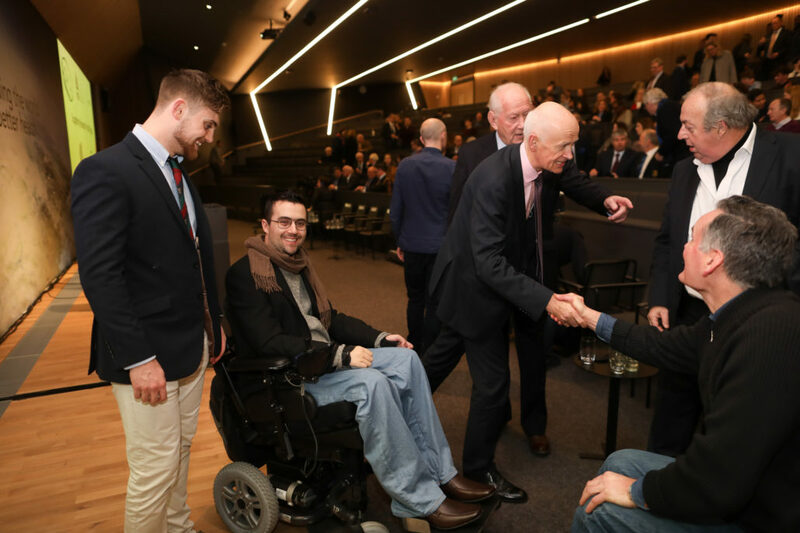 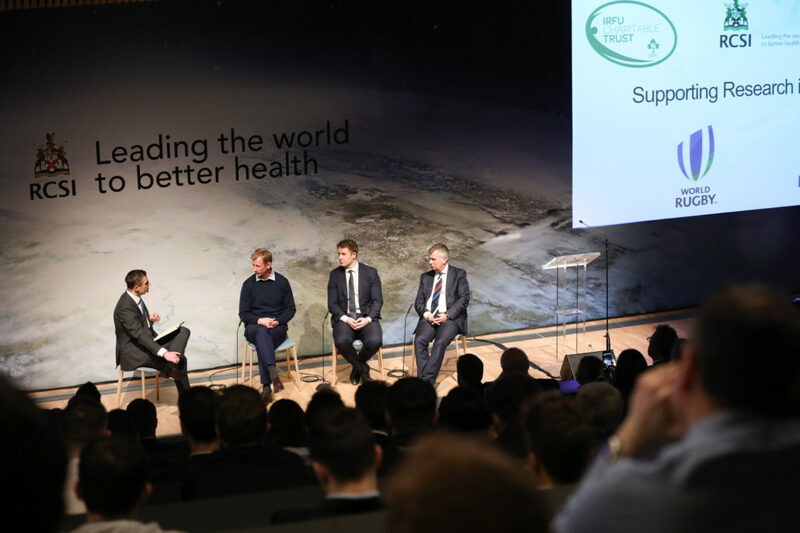 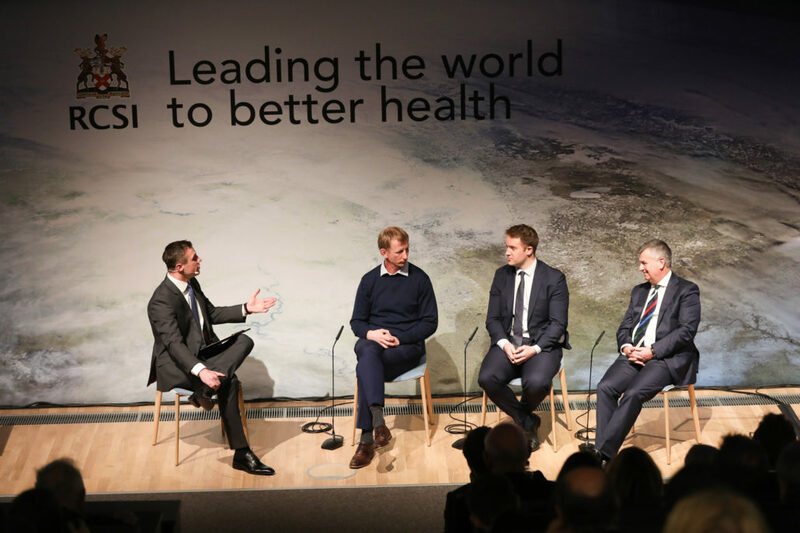 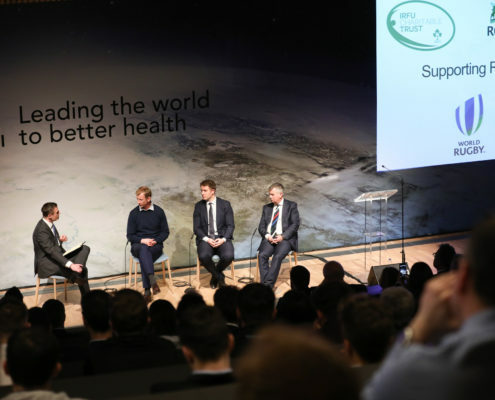 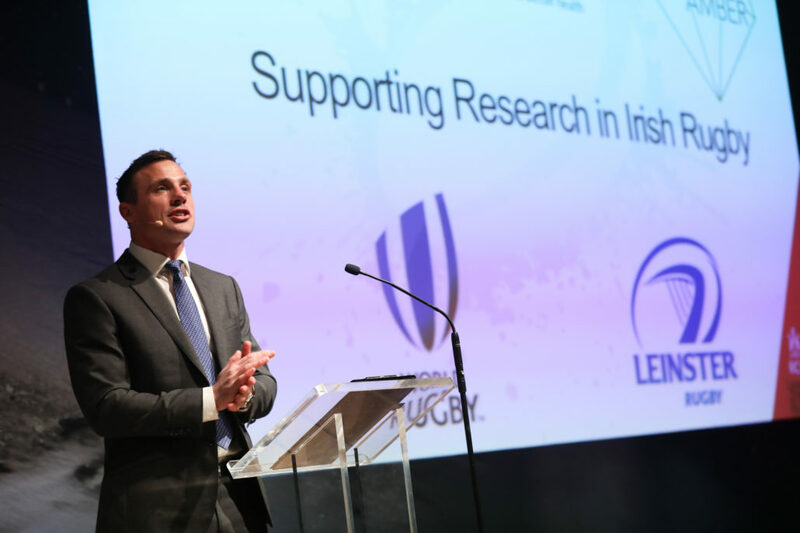 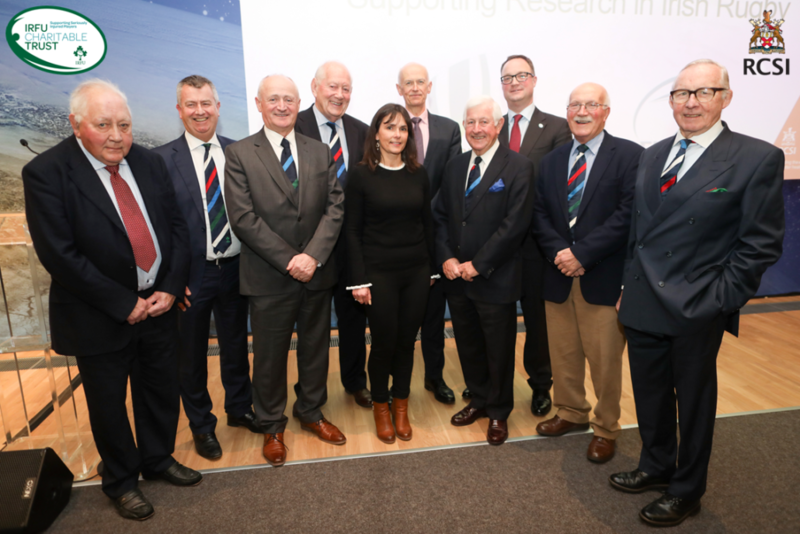 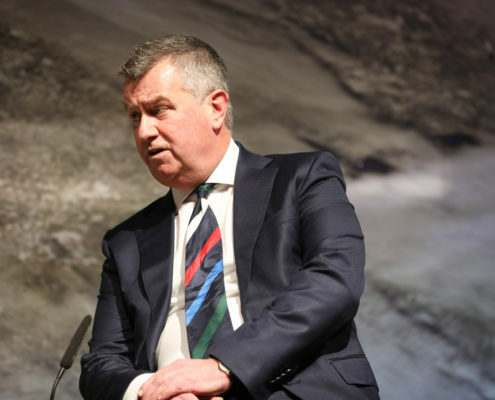 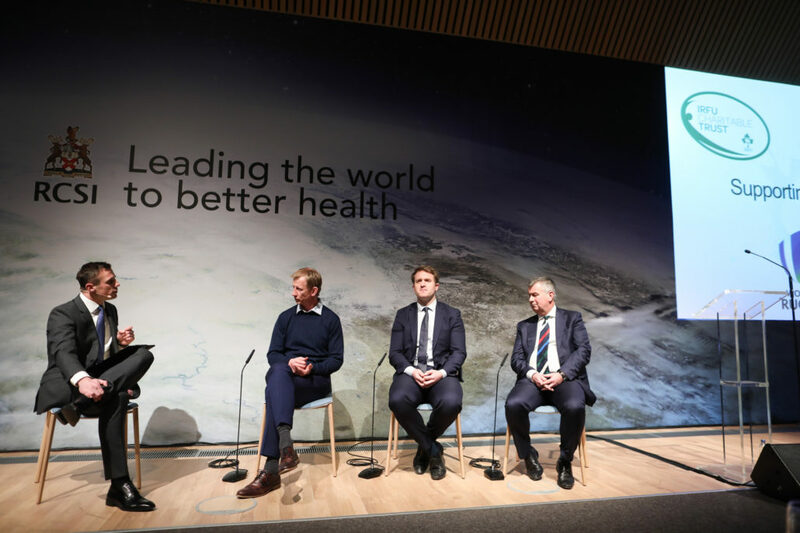 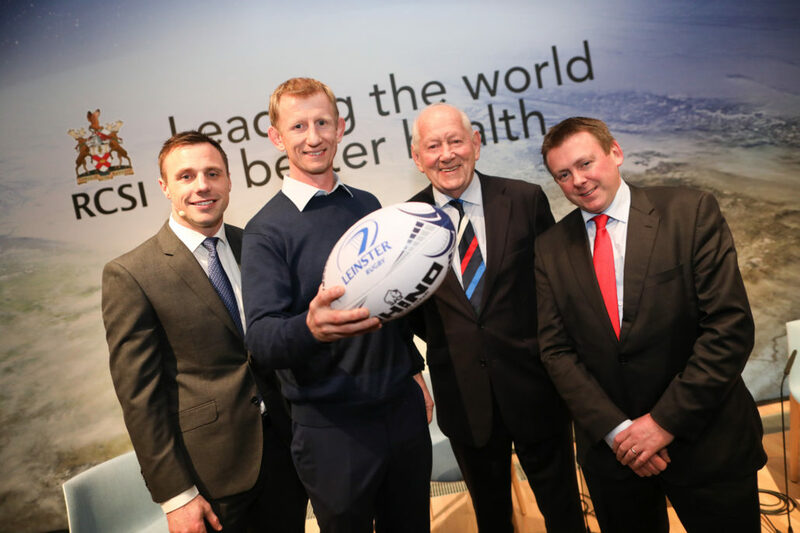 The investment from the IRFU Charitable Trust will fund two pioneering research projects. 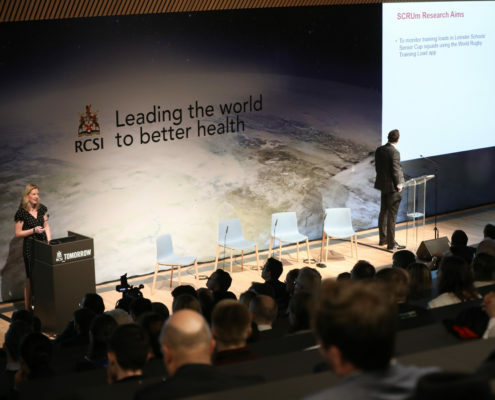 One project, with additional funding from AMBER, will look to develop an advanced platform for spinal cord repair combining novel biomaterials, stem cells and gene therapy. 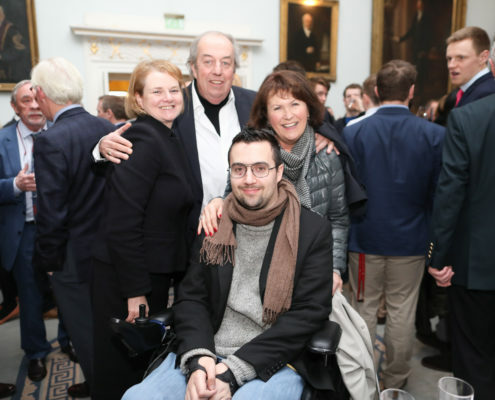 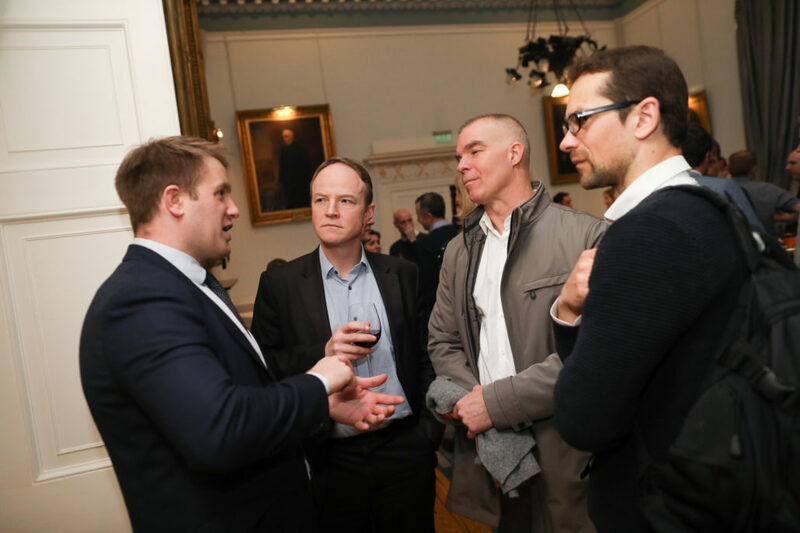 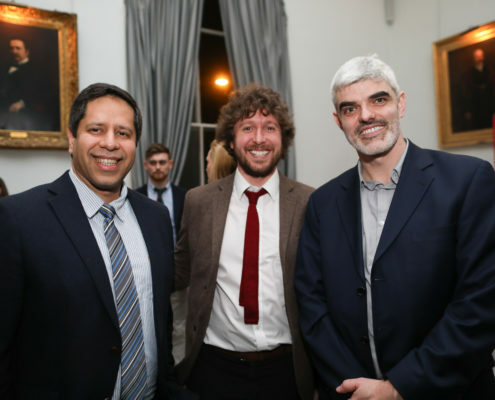 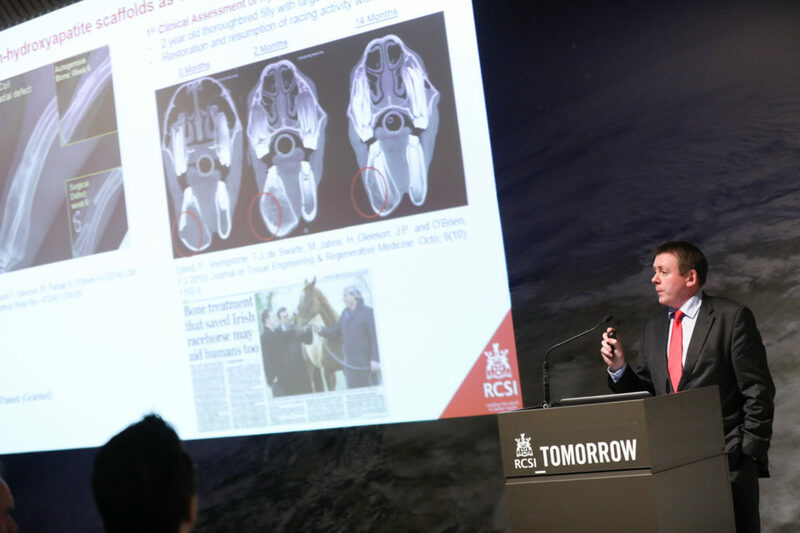 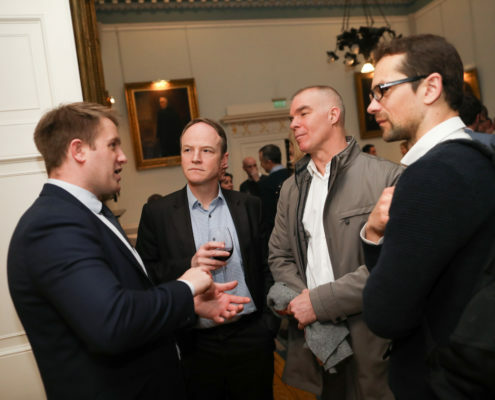 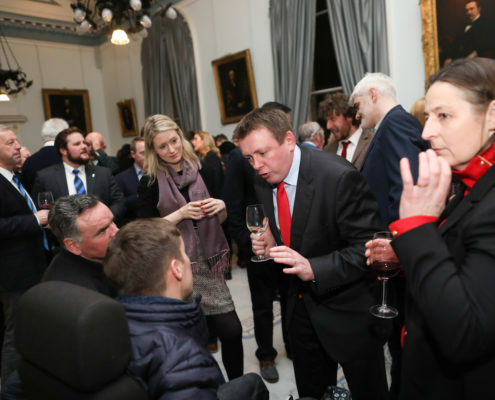 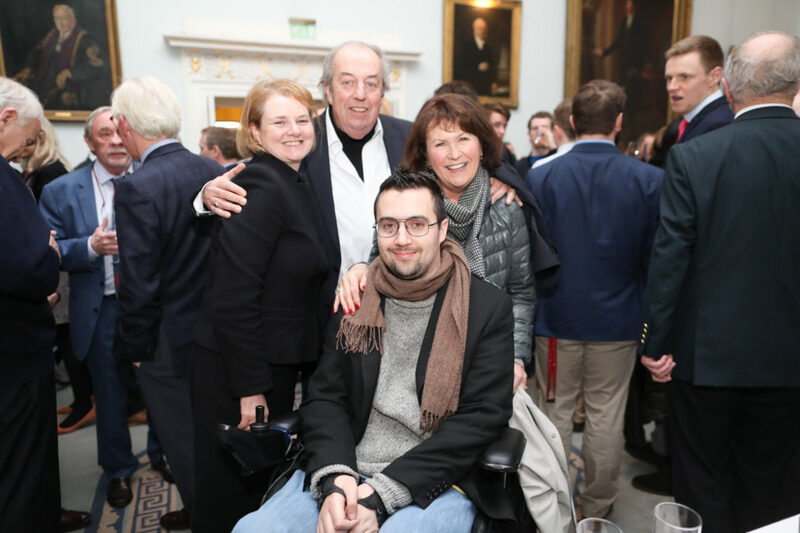 Led by Professor Fergal O’Brien, Professor of Bioengineering & Regenerative Medicine at RCSI and Deputy Director of the AMBER SFI Research Centre, this project proposes an advanced biomaterials approach to spinal cord repair, which may revolutionise the way spinal cord injury is treated worldwide. 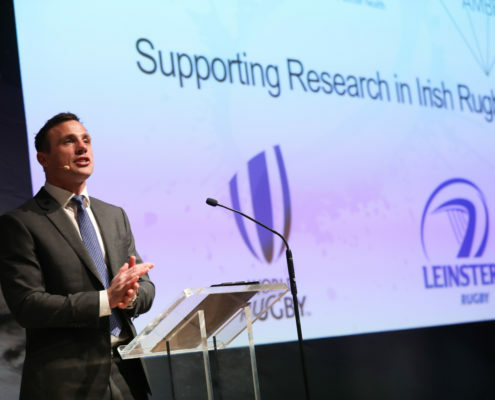 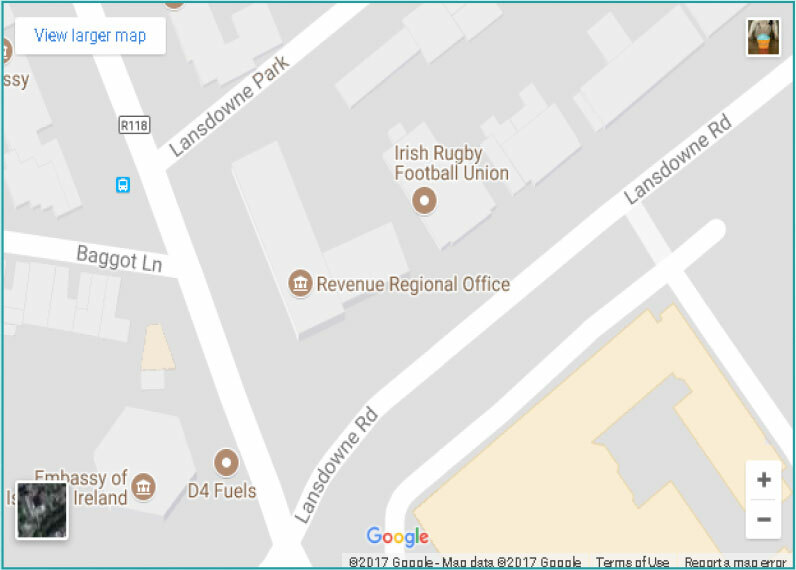 The second research project will look at the training load and injury risk in schoolboys’ level rugby in Leinster. 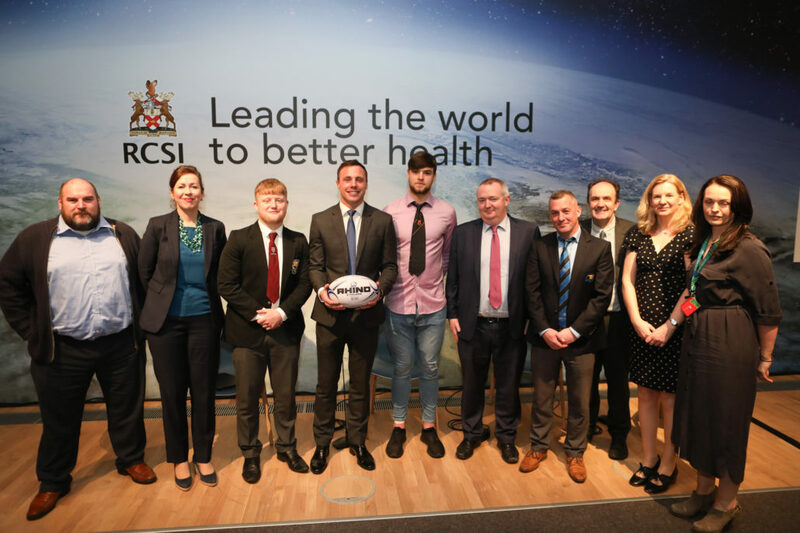 Researchers at the RCSI School of Physiotherapy will lead the study to increase understanding of the frequency, type and intensity of in Leinster Senior Cup Schoolboys rugby squads. 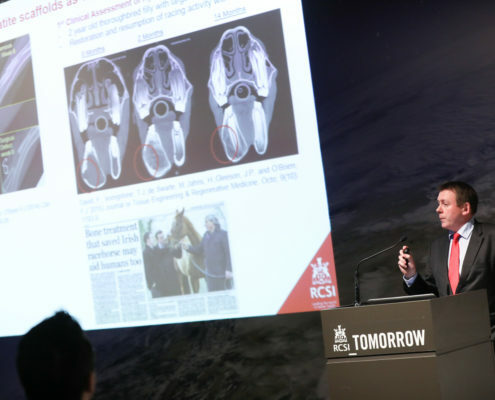 The study is a crucial step in the future development of injury prevention strategies. 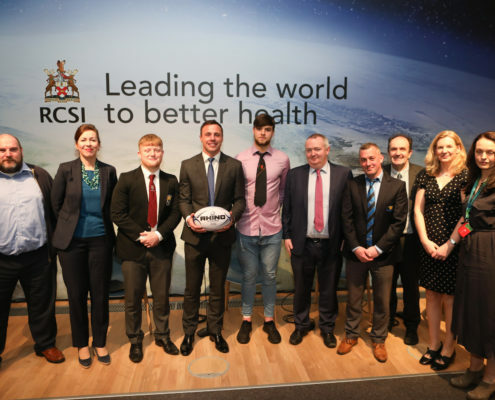 The study will utilise an app developed by World Rugby to collect data and this is the first time the app has been used in the 15-a-side game. 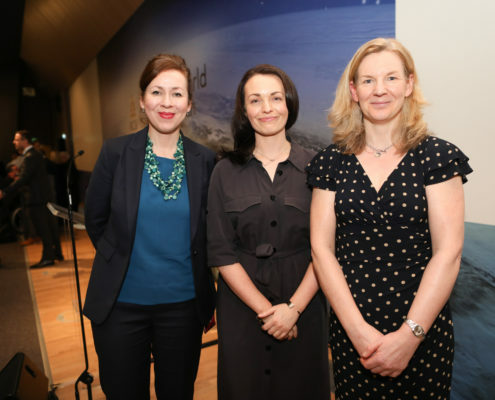 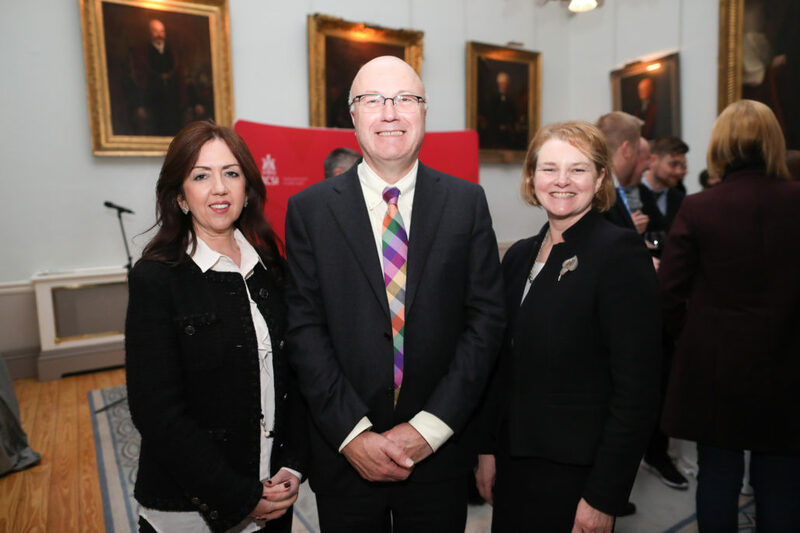 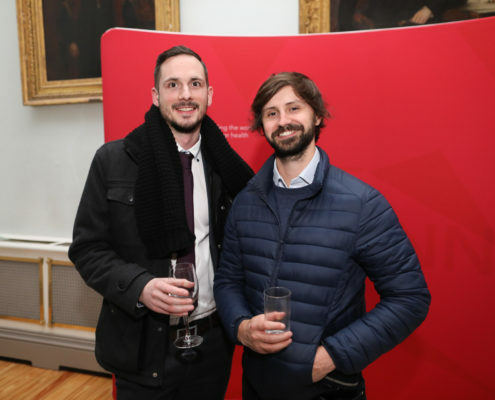 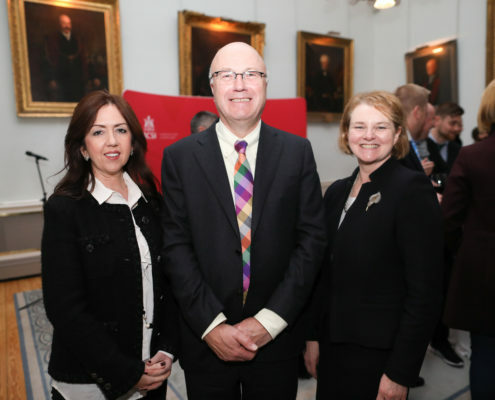 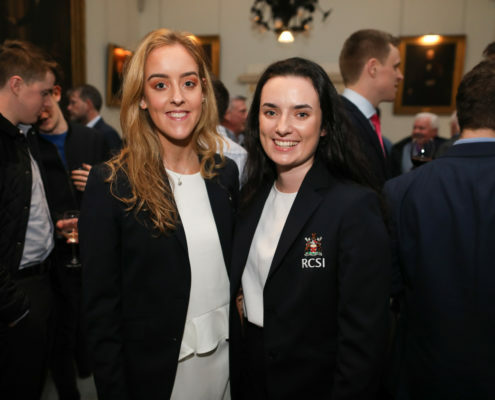 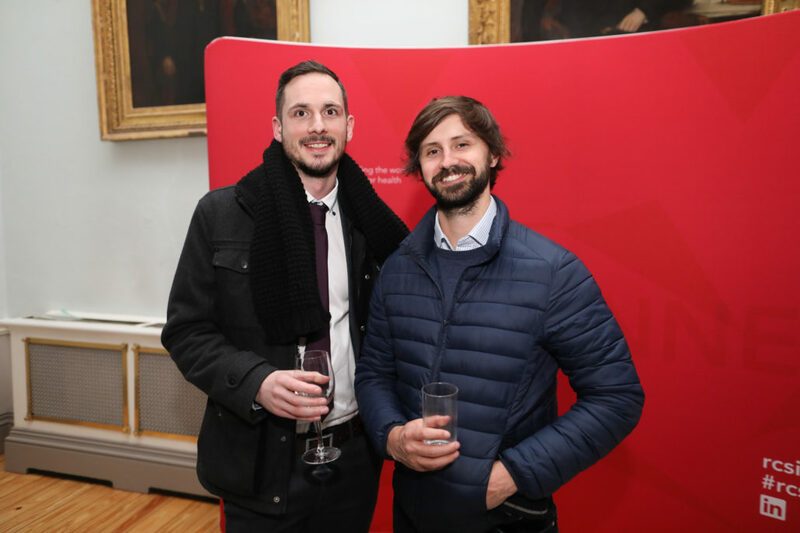 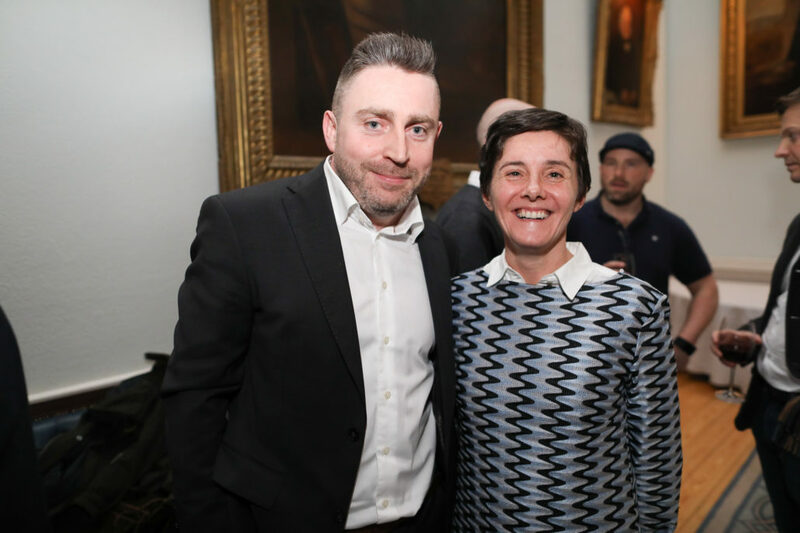 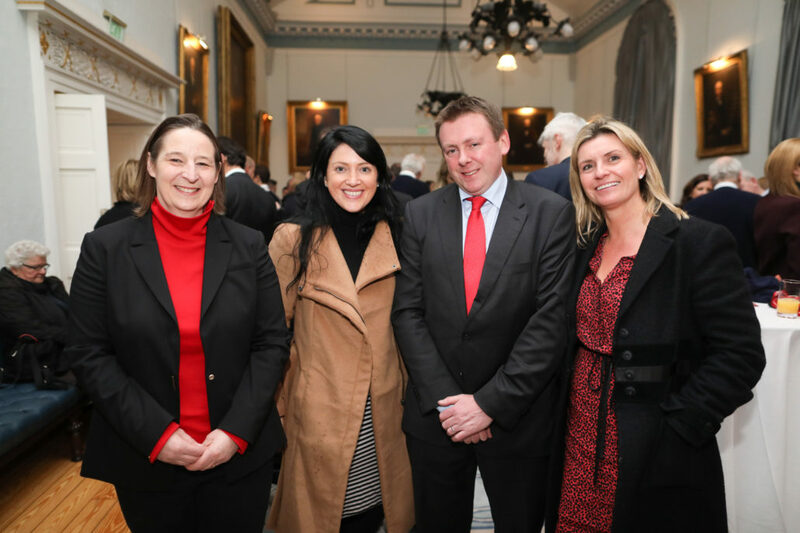 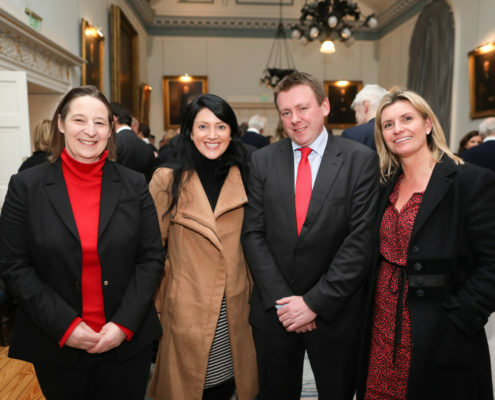 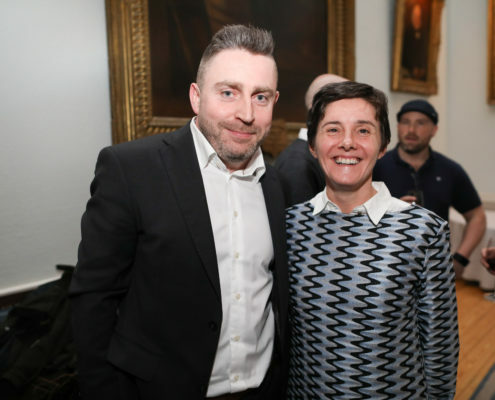 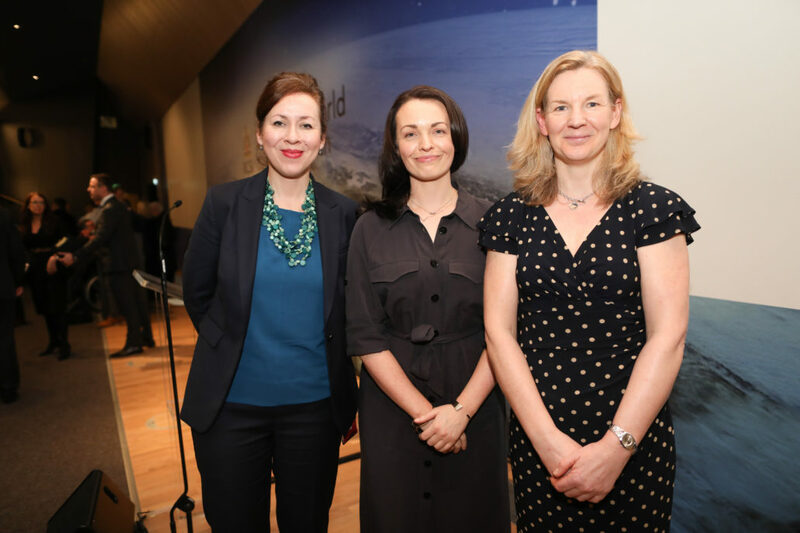 The lead researchers on the study from the RCSI School of Physiotherapy are Dr Helen French, Physiotherapist and Senior Lecturer and Louise Keating, Physiotherapist and Lecturer. 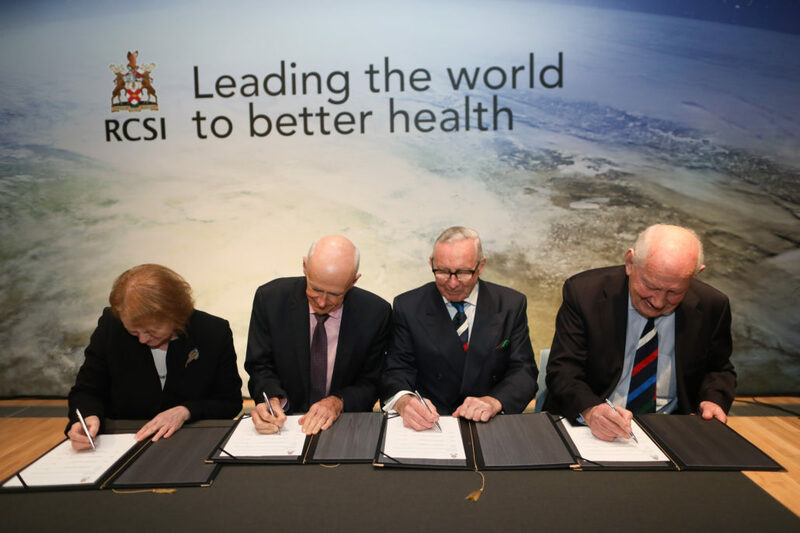 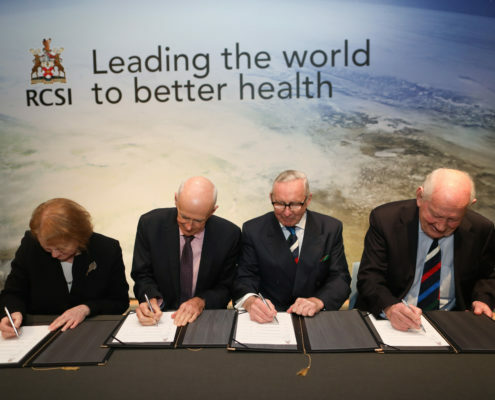 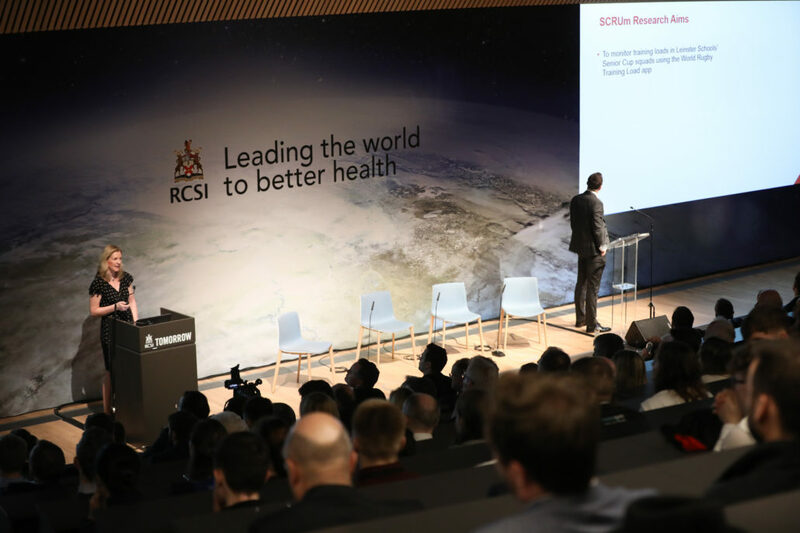 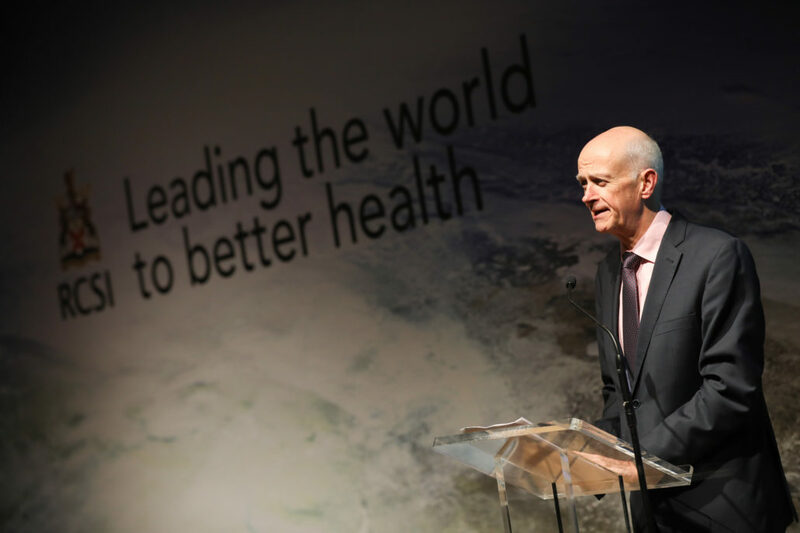 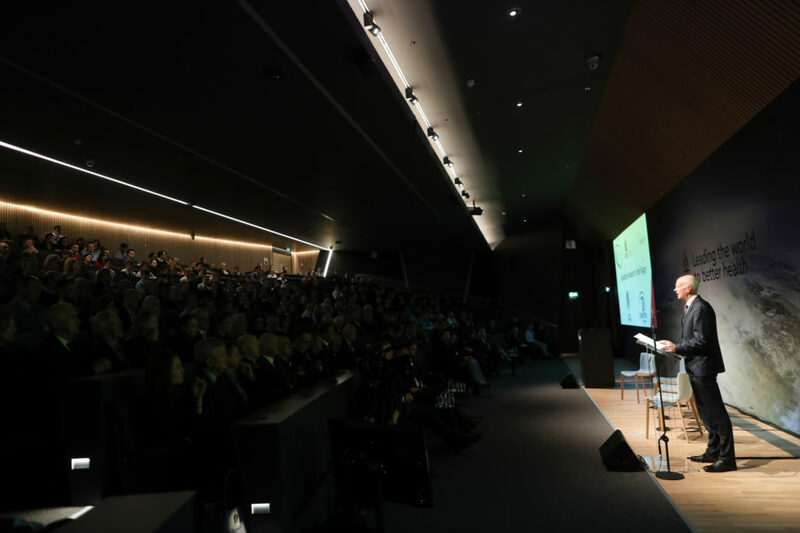 The partnership was announced at a special event in RCSI’s state-of-the-art facilities at 26 York Street. 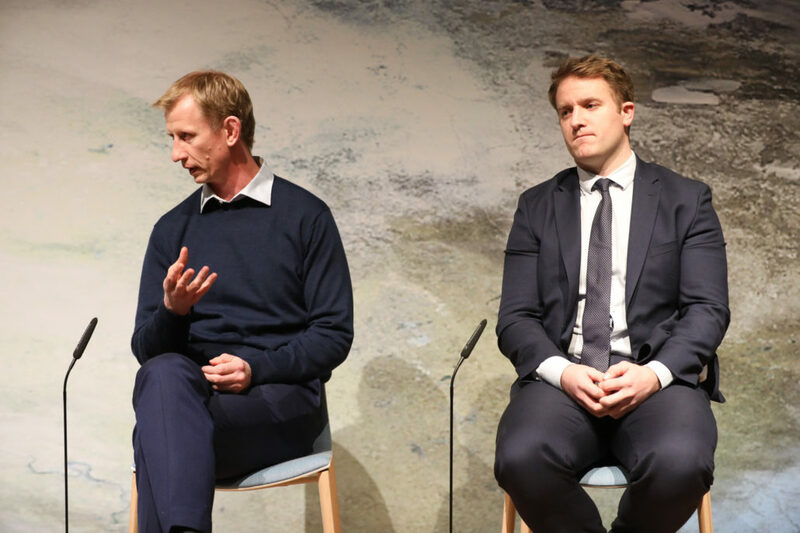 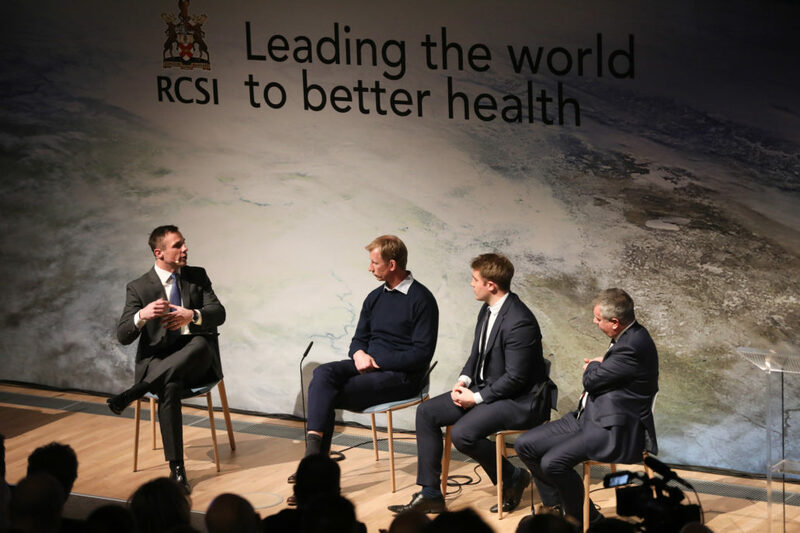 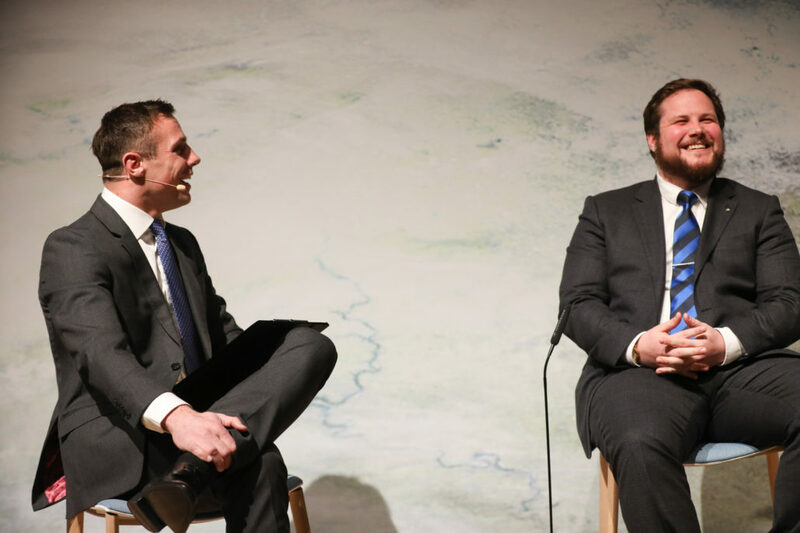 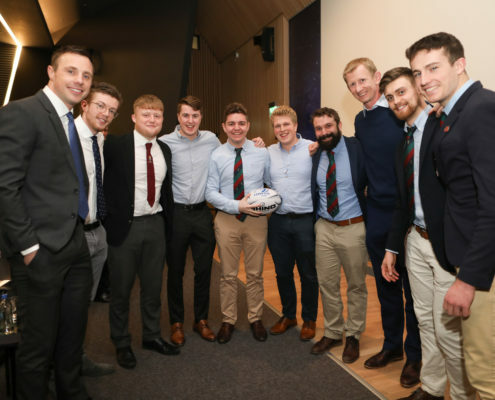 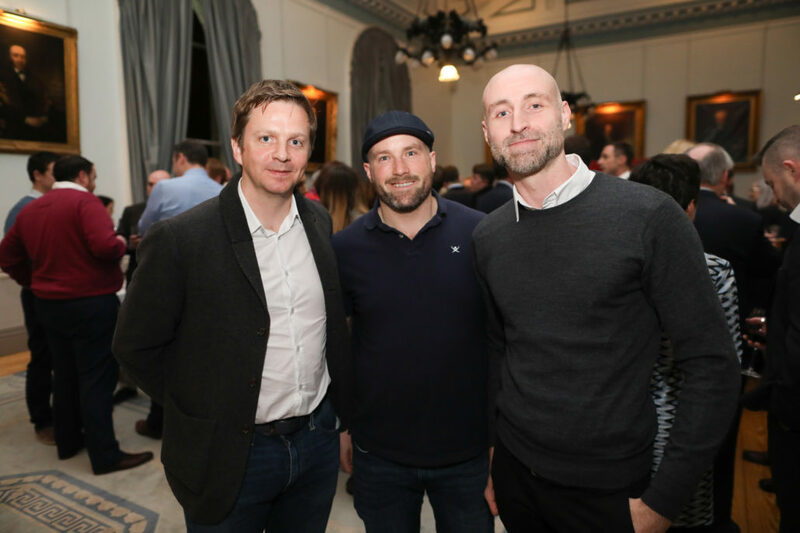 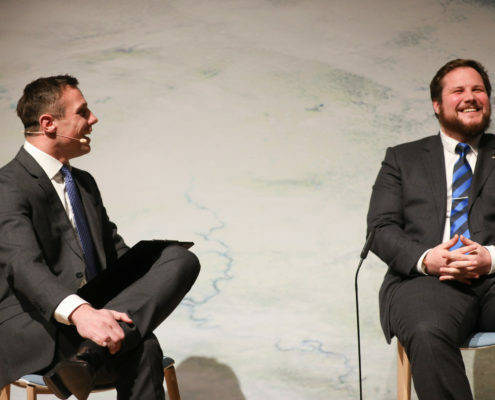 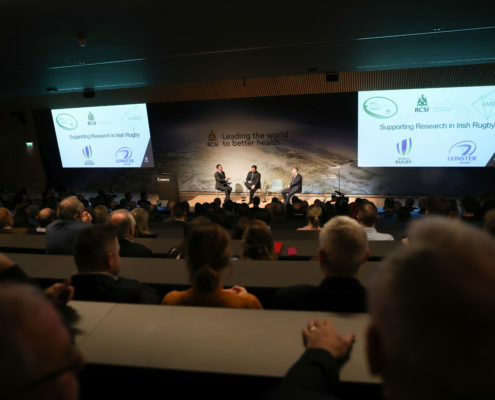 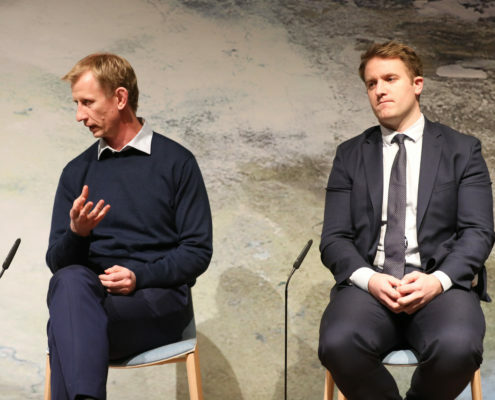 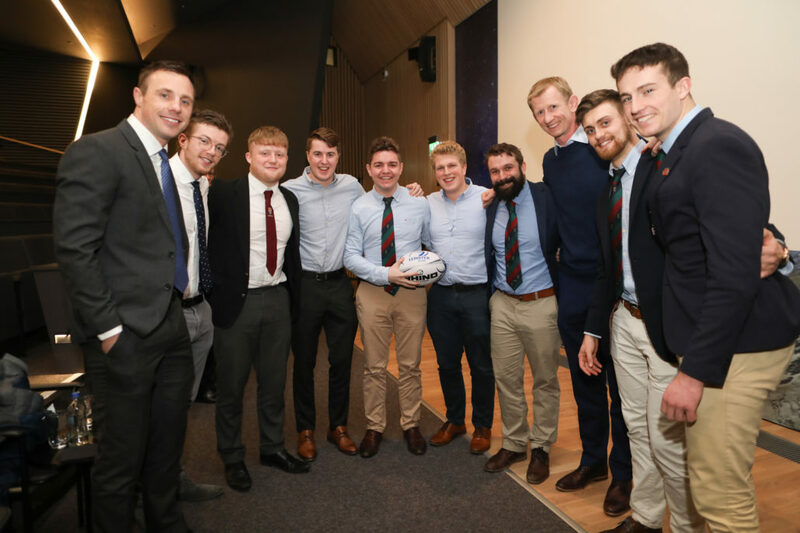 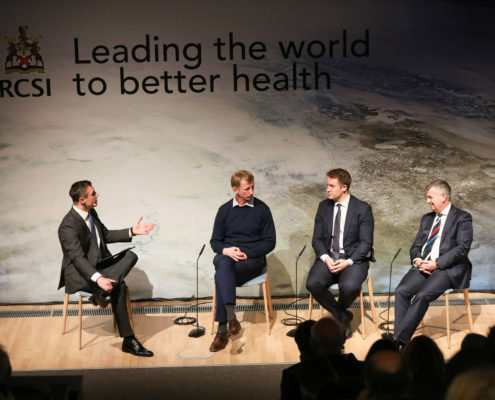 Hosted by Tommy Bowe, former Ulster, Ireland and British & Irish Lions International, with special guests for the evening including Luke Fitzgerald, former Leinster, Ireland and British & Irish Lions International and Leo Cullen, Head Coach and former Captain Leinster and former Irish International. 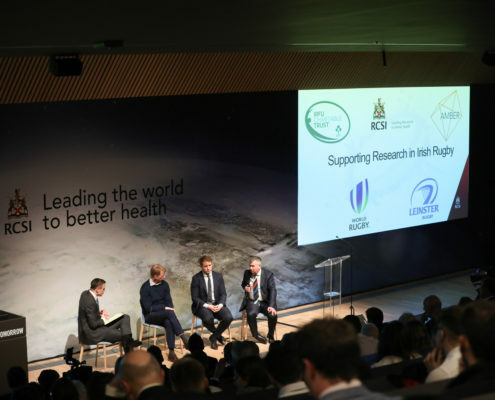 As well as contributions from the lead researchers from RCSI, the event was addressed by Professor Cathal Kelly, CEO, RCSI; John Callaghan, Chairman, IRFU Charitable Trust; Mike Hislop, Technical Services Researchers, World Rugby; and Mr Cliff Beirne, Chair Care Sub-Committee, IRFU Charitable Trust and Dean of Faculty of Sports & Exercise Medicine, RCSI and RCPI.